The video below shows a firefight between terrorists in Afghanistan and U.S. Special Forces working with the Afghan National Army (ANA). 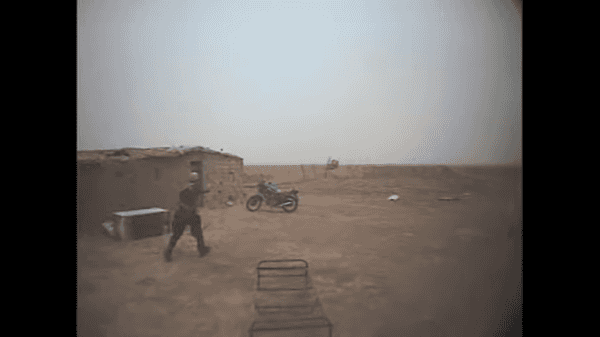 The entire incident is caught on camera via a helmet cam worn by a U.S. Special Forces soldier. The U.S. Special Forces soldier can be heard saying that they have a visual on motorcycles but did not have a visual on any people inside the building. As blustery winds can be heard through the soldier’s helmet cam, several men including the U.S. Special Forces soldier run over to the building keeping their eye on it as they approach. A motorcycle can be seen outside the building, indicating that there is most likely at least one person inside. “Ready?” the U.S. Special Forces soldier asks as he knocks over the blue door, which is off its hinge and barely connected to the house. The ANA soldier is the first person who enters the building and notices a man standing straight ahead of him. The U.S. Special Forces soldier checks the door off to the left side of the building and finds that no one is in the room after knocking down the door. The Afghan National Army soldier and the U.S. Special Forces soldier tell the first man to get down. The ANA who entered the building first has his firearm struck by enemy bullets coming from either straight ahead or off to the right side of the building. The ANA soldier’s weapon is rendered useless after getting hit. The U.S. Special Forces soldier engages the enemy from his doorway while both other soldiers withdraw to get away from the gunfire. 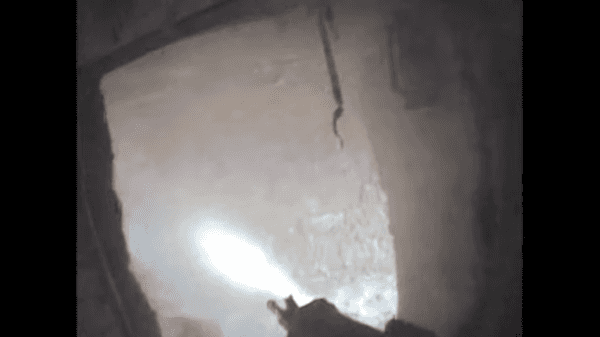 The U.S. Special Forces soldier fires into the other room through the wall and into the corridor. After firing off several rounds, he clears the corridor and gets in position on the other side of the doorway to fire into the room while taking cover behind the side wall. Several more shots are fired into the room at the hostile. After hitting him, the soldier enters the room spotting two other individuals hiding in the corner of the room near the hostile, telling them to get down. The Afghan National Army soldier who withdrew from the building was struck down off camera by insurgents from inside the building, according to the video. Op-Ed: Who Loses The Most By Revealing Missing Minutes Of State Dept/ Iran Nuclear Deal Video? Hillary Clinton Does.